I often hear from educators that the number of students in their schools affected by traumatic life experiences is climbing. How do we bring out the best in these students, and help them find success and achievement, despite trauma? It begins with an understanding of how trauma affects the brain. When a child is suffering from the aftereffects of trauma, his or her brain is in often in fight or flight mode. When the trauma continues over time, this pattern can become chronic. It becomes difficult to learn when our brains are in this state. Learning, memory, emotion and language skills are all affected. If we can begin to calm the brains of trauma-affected students, we may have a chance to help lower this barrier to learning. One strategy includes teaching mindfulness to our students. When we are truly mindful and present in the moment, we can begin to leave the fight or flight response behind, if only for a few moments. That may be long enough to refresh the brain. All of our students can benefit from daily breathing, stretching or yoga breaks to relax their bodies and minds. Some students have a low threshold for triggering fear, or shutting down and tuning out. Creating safe spaces in our schools and classrooms can provide a respite from the stress, overload and confusion that these students experience. Consider creating a corner of the room where students can go to calm themselves. If you can block off an area with shelves and add soft furniture, pillows, fabrics, tactile objects and dim lighting, students can give themselves a break when needed. You can work out a system where either you or the student provide a cue that it’s time for a sensory break. A great benefit is that this helps the student learn to self-monitor and head off a more intense response by acting preventively. For some additional resources on supporting kids who’ve suffered trauma, check out NEA’s Teaching Children from Poverty and Trauma handbook. One great tip is to greet each student authentically. If you haven’t already seen it, this video of a teacher in North Carolina is a great example of doing just that, and it will make your day. 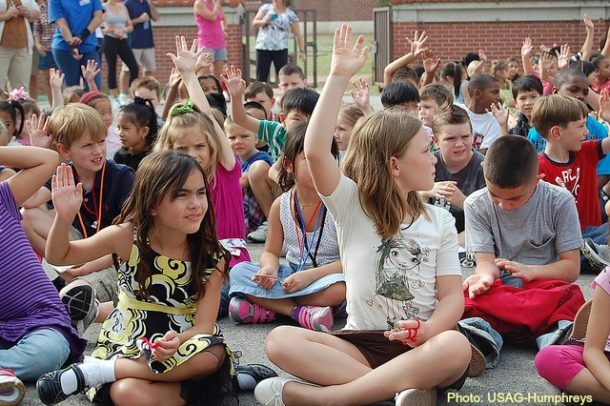 Thinking about training your school staff in safety practices and behaviors to watch for? 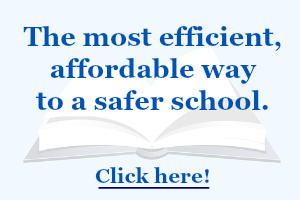 For a limited time, you can get a free preview to see if the online Everyday School Safety course is right for your school. Contact me before March 5th for a free preview voucher.